If you have old plumbing pipes on your New Jersey property that are made of lead, you’ll need lead pipe replacement as soon as possible from a certified, licensed local plumber. Lead isn’t up to code, since the dangerous health effects of lead exposure are know well known. However, some older properties may still have residual lead plumbing that was installed prior to the 1980s. 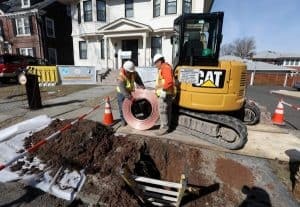 At A1 Sewer & Drain Services, we provide sewer/water lead pipe replacement in New Jersey for sewer lines, drain lines, and indoor plumbing pipes. We’ll get the job done quickly and efficiently, with high quality workmanship that will hold up for decades to come. For service today, including a free diagnosis and cost estimate, call us any time at 201-645-0888. If your home was built prior to 1970, there’s a chance that your main water line could be made from dangerous lead. Lead was not fully phased out of plumbing until the 1980s, and old lead plumbing may still remain on many older New Jersey properties. 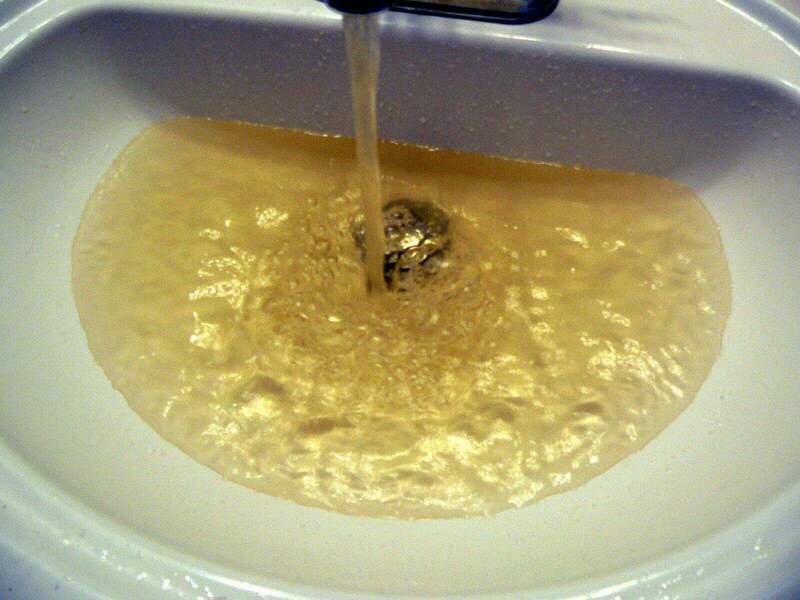 The EPA estimates that over 6 million lead service pipes exist throughout the United States, and in the wake of the disaster in Flint, Michigan, the issue has come into the national consciousness. 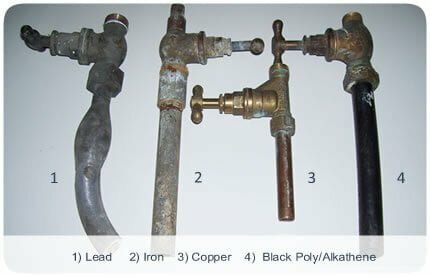 Even if the majority of your plumbing is made from copper, your water supply line could still be lead. It’s incredibly important to contact a local plumbing contractor for lead pipe replacement as soon as possible, preferable before moving into a historic home. Plumbing inspection prior to moving in can spot old lead plumbing, giving you the option to have it replaced immediately. Lead is distinctively soft and dark gray in color, making it easy for contractors to identify. In some cases, your utility company may even have a program in place to help you cover the cost of lead pipe replacement. 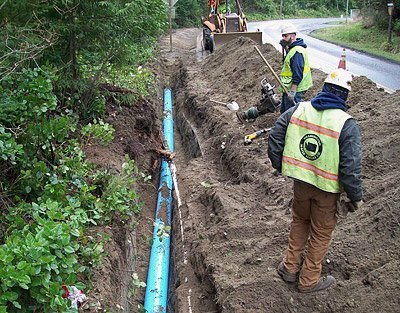 The cost and logistics of main water line replacement for lead supply pipes can depend on whether your home has a separate supply pipe or a common supply pipe. A separate supply pipe is your responsibility, at least for the section beginning at your property line. Communication pipe from the water main that lies outside your property may fall under the city’s jurisdiction. Some older properties, especially terrace houses, are served by a common supply pipe. 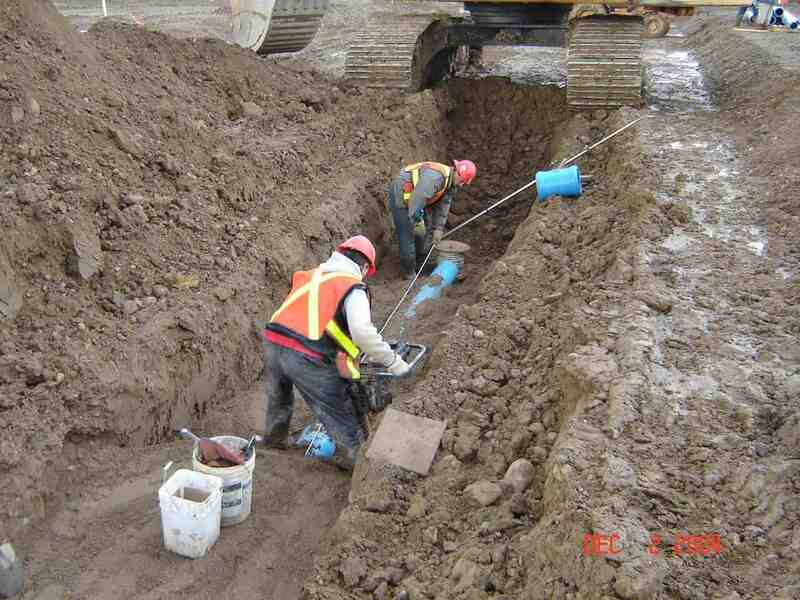 These main water lines provide water to several houses from one main water supply line. These are the joint responsibility of each property fed from the shared supply pipe. The individual branch pipe that carries water to your home is your responsibility, however. Replacing lead plumbing pipes can be expensive. It may require contractors to open up walls and flooring, which is one of the largest contributors to the overall cost. For new plumbing pipes, you’ll be able to choose from several materials. Copper has long been a popular choice, but PEX is actually one of the most cost effective options for repiping or replacing old lead plumbing. PEX pipe is made from flexible polyethylene, and can sometimes be fed into walls without opening them up completely. PEX pipe itself is also less expensive than copper, further reducing the cost of lead pipe replacement. PEX generally runs about $0.50-2.00 per foot, compared to $2-4 per foot per copper. Its expected service life is similar to copper, and PEX is predicted to last about 50 years before it needs to be replaced again. Even if your main water line isn’t made from lead, you may still eventually need to replace it. Water supply pipes are commonly made from copper or cast iron, which is affected by corrosion over decades of use. The pipe’s age, condition, and history of previous repairs will determine whether it can be repaired, or whether water pipe replacement is the best option. Once installed, a new main water line will last for decades without needing any major repairs. Need certified local plumbing contractors for lead pipe replacement? 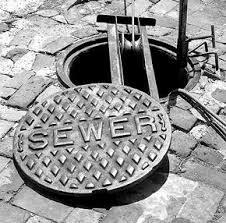 Call us today at A1 Sewer & Drain Services, at 201-645-0888.